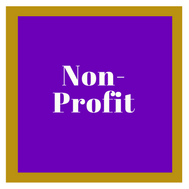 POWHer of WE recognizes the important role that local non-profits and resource centers play by providing human, social and business services essential to our members and the community at large. *Membership dues are nonrefundable. Dues are not deductible as a charitable contribution for Federal Income Tax purposes. (c) 2017-2019 POWHer of WE: Power of Women Entrepreneurs | All Rights Reserved. This website designed by POWHer of WE intern Deja McClellan, future successful woman business owner/entrepreneur.